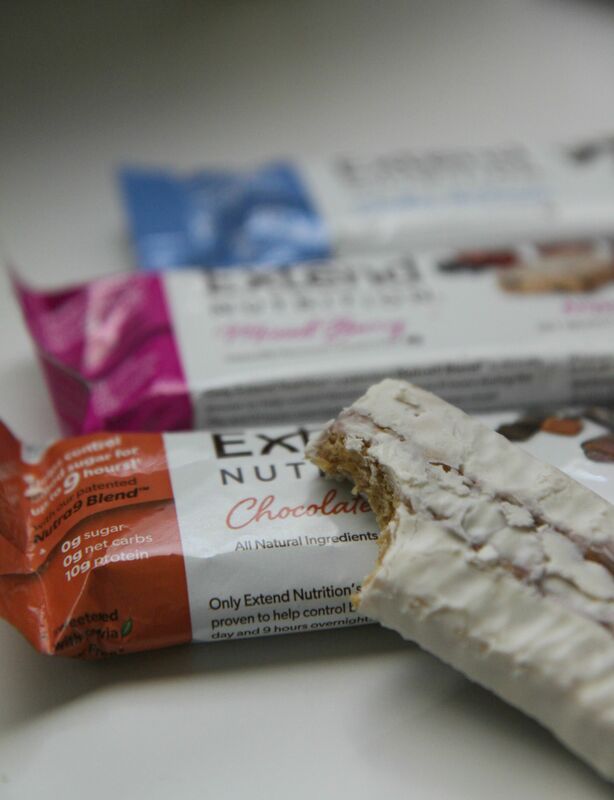 Product Review: Extend Nutrition Bars! We made it to another weekend! Celebratory Cyber Coffee Mug Clink! Until then my workouts have been primarily indoors or before 7:00am, followed up by a new-to-me protein bar. 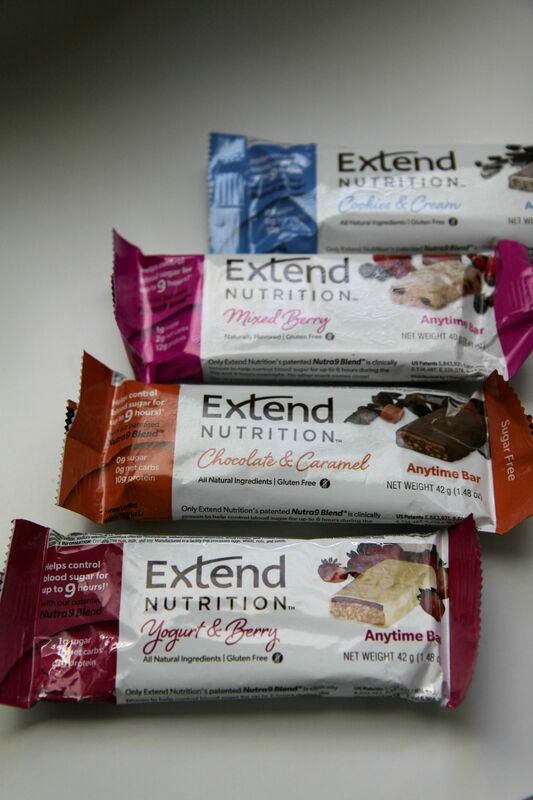 Extend Nutrition reached out through my blog to offer it’s nutrition bar products for review. I was intrigued by the low sugar and high protein content of the bar, and you know I’m always up for trying out new health products! Full disclaimer: Extend Nutrition provided its products free of charge to sample, however this review is 100% my personal and honest opinion. I am not otherwise affiliated with this company (other than being a new customer!). It should be noted that I have high standards when it comes to packaged products. Obviously I don’t want to waste my money or my calories on something that isn’t healthy AND satisfying. This picky girl is absolutely impressed with Extend Nutrition Anytime Bars! The variety of bars are sweet and flavorful, contain minimal sugar, have a perfect portion size, and are surprisingly filling due to the high protein and fiber content. The macro-nutrient ratio is ideal for a post-workout snack or just a replacement to something more processed and sugary. Many of the “protein bars” or “nutrition bars” on grocery store shelves list some variation of sugar or syrup as their #1 ingredient (and #3, and #5, and #6…..). When I’m looking for something quick and convenient to curb my post-workout hunger, I want something with protein and complex carbs. Sugar is a simple carbohydrate that really doesn’t offer any nutrition to my body that I’m demanding so much activity out of! 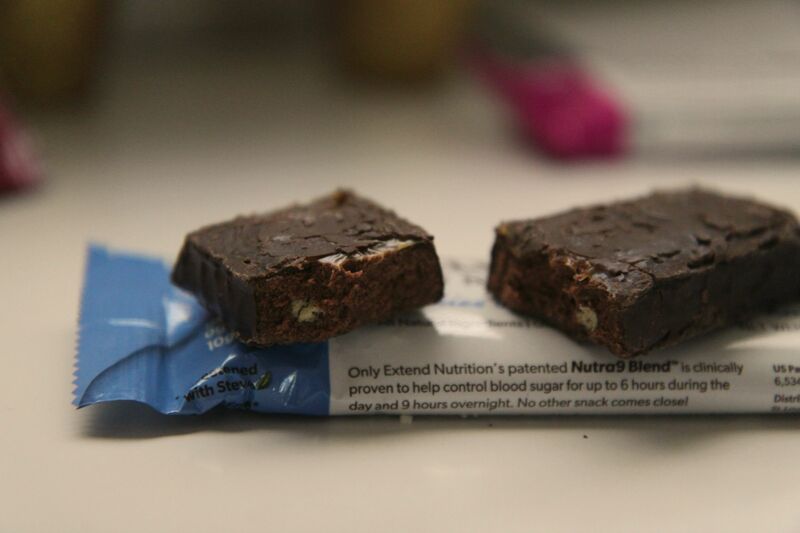 Extend Nutrition bars are gluten-free and aid in managing your blood sugar for 6-9 hours. 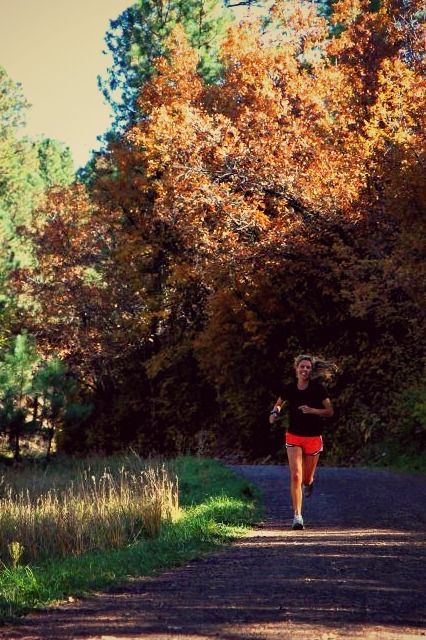 The bars are ideal for endurance athletes, runners, or anyone looking to lead a healthy lifestyle. There are two different textures, one that’s chewy and another that’s crunchy. The dessert-y flavors like Cookies N’ Cream and Chocolate & Caramel totally satisfy any sweet tooth without any guilt. They are sweetened with stevia, the all-natural plant-based sweetener. It’s great to see companies using alternatives to corn syrup, refined sugar, and aspartame. Personal fave is the Chocolate Peanut Butter, hands down! My mom favored the brand new Yogurt & Berry flavor, which reminds me of a (cleaner) Nutri-Grain bar. Learn more on Facebook or Twitter! This weekend holds a 16-mile long run as part of my marathon training, which will likely be followed by overindulging in Gilmore Girl episodes, homemade iced coffees, and general laziness. Enjoy your Friday! Posted on September 11, 2015, in College, Healthy Habits and tagged extend nutrition product review, health product review, healthy college blog, healthy college girlh, Healthy college student, nutrition product review. Bookmark the permalink. 1 Comment.